How much is too much for an event? 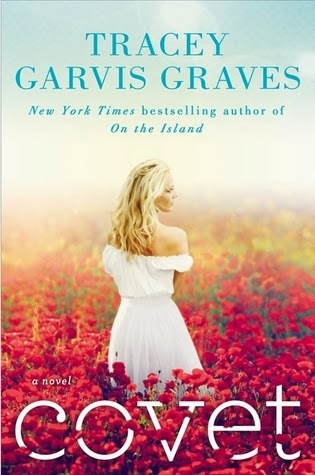 Tracey Garvis Graves shows us in her second novel that On the Island was no fluke, and she knows how to write a good story about love and relationships. Covet is a quiet examination of suburban life, with a wife who feels lonely enough to make friends with a man who is not her husband. I particularly liked the different storytelling techniques that were demonstrated here - multiple viewpoints, short chapters, and flashbacks that enabled us to see the relationship between Claire and Chris before they were afflicted by difficult life situations. What I liked less is that this was a very slight book, considering the interesting characters that moved through Claire's life with their own troubles and subplots. I would have liked more character development - people like Elisa and Julia were paper-thin, presented like sweeping watercolour snapshots rather than carefully inked-in portraits. We were given enough to be intrigued about them, but never enough to be truly drawn in. In addition to this, Tracey Garvis Graves has an 'and then' style of writing, where everything is described - even a stomach bug suffered by three members of the family where we got to see each vomiting episode. It's too much, and leads to more telling, and less showing. In conclusion, a read that entertained but didn't ultimately satisfy and will be forgotten within a month or so. Unlike On the Island, which stayed in the mind because of the controversial and provocative subject matter, Covet is a light read that is good for the beach in the summer.